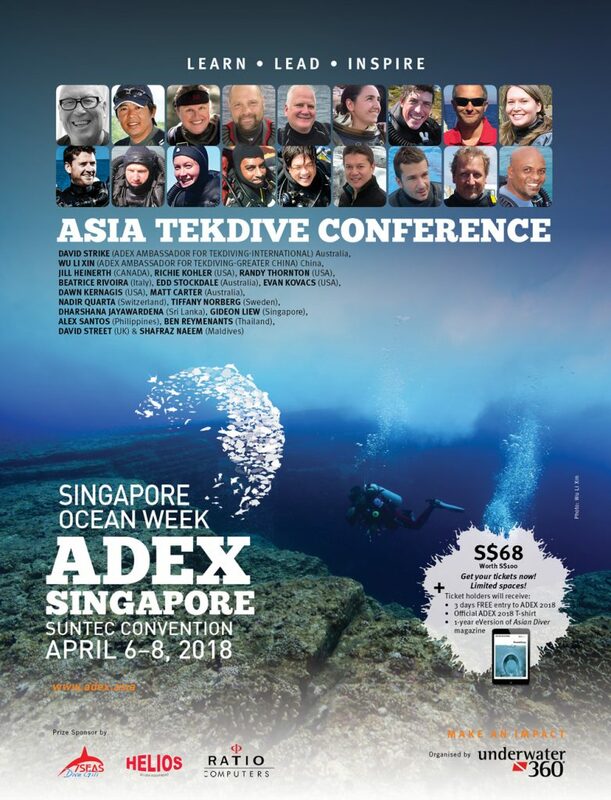 The TekDive Conference at Asia Dive Expo (ADEX) 2018 showcases some of the world’s most intriguing and technically challenging dives. 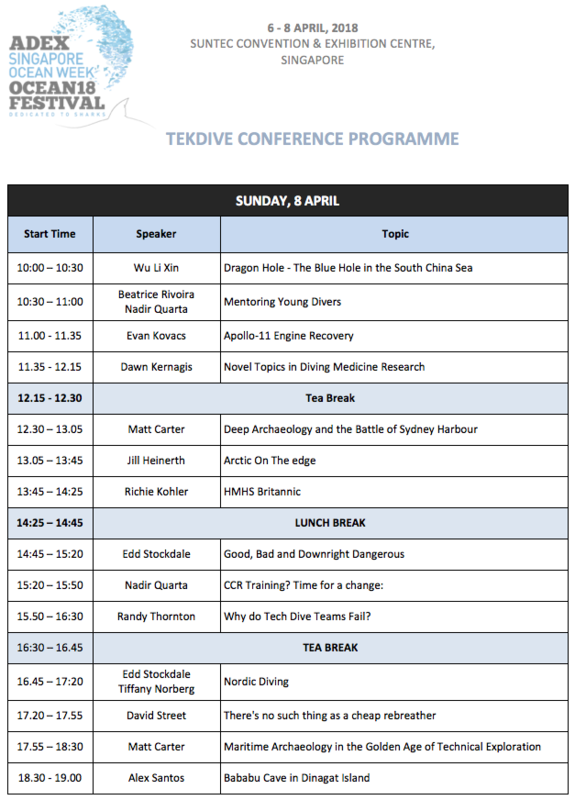 As every year, the line-up of Tekdive speakers includes some of the most accomplished Tekdivers in Asia and around the globe! Stand a chance to win awesome prizes during the Lucky Draw! 1 x 5D4N Dive & Accommodation for 1 worth SGD720 proudly sponsored by 7Seas Dive Gili Dive Resort! 1 x Helios Tek BCD worth USD780 proudly sponsored by Helios! 1 x Ratio iX3M Tech+ Dive Computer worth EUR999 proudly sponsored by Ratio Computers! 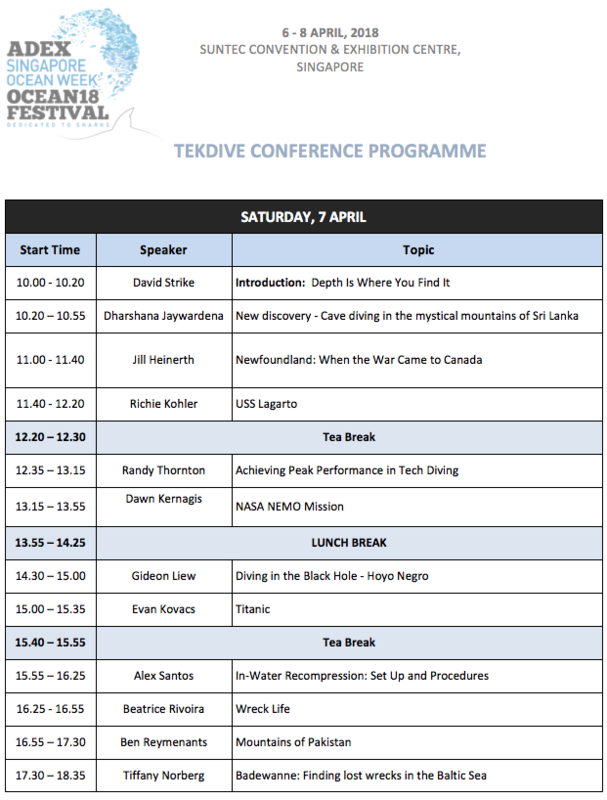 Get your TekDive 2018 Conference Tickets today!